Anyone who knows me knows I love OPI! I've tried many nail varnish brands and OPI still stands out as working best for me! Their new collection is inspired by James Bond, with their nail varnishes named after the Bond films. I've been lucky enough to pick up 6 bottles from the collection, 4 which are minis that I'll swatch soon. This little beauty called On Her Majesty's Secret Service is gorgeous. It's not usually the kind of shade I'd purchase, but it looked gorgeous in the bottle. It's a metallic blue packed full of glitter dust. The glitter inside the bottle are blues, greens and golds giving the appearance in some lights that this colour is more turquoise. Excuse the dodgy nail painting! 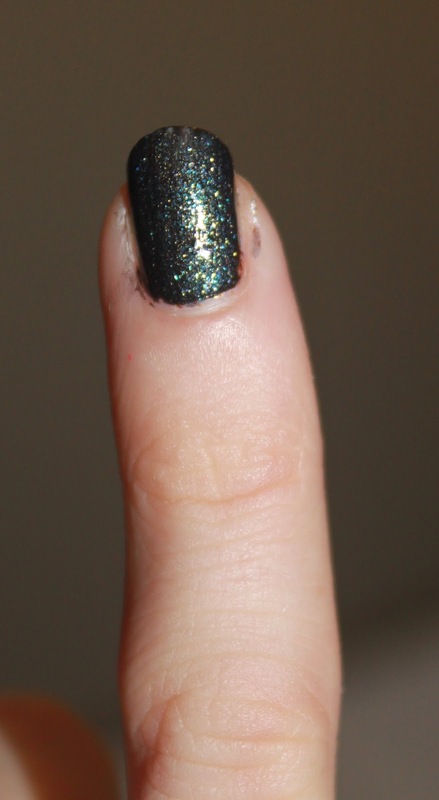 I loved the finished look of this nail varnish, however I had to do 4 layers. I've tried most of the collection and felt that the glittery colours to be very see through and needing a lot of layers. That is the only criticism I have to this lovely shade. 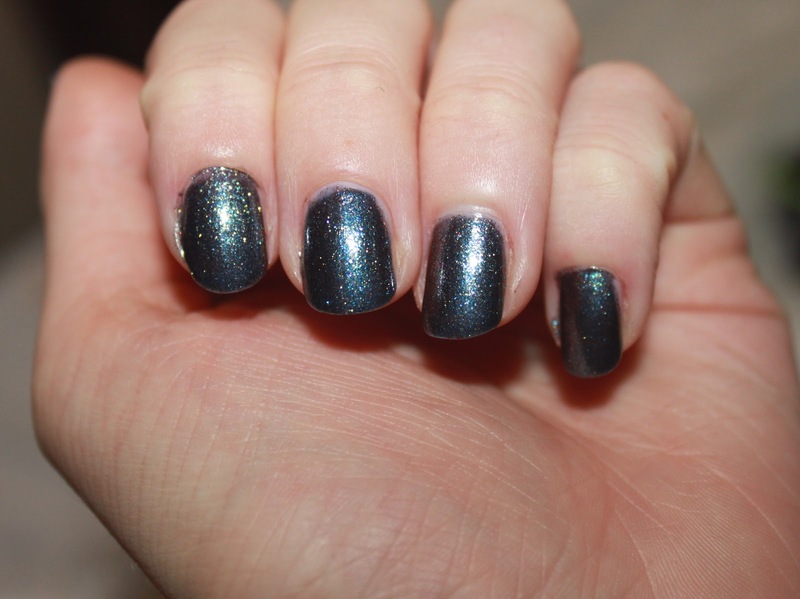 Because of the amount of layers I had to use, I tried using a black metallic base coat and used the OPI as a top coat. As you can see below it looked gorgeous with a black base coat. 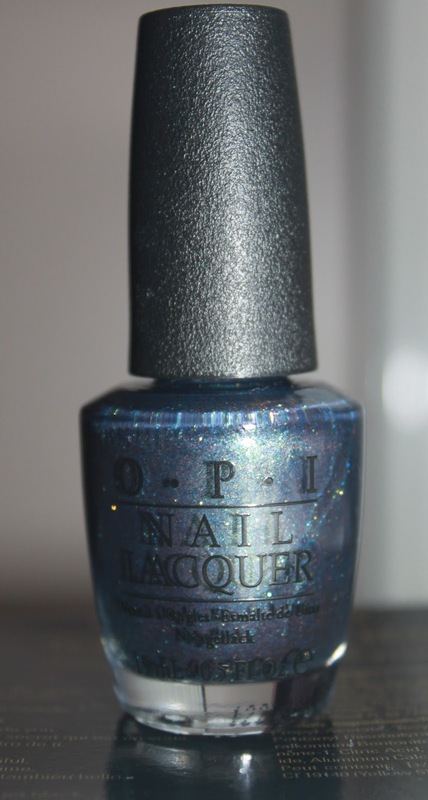 I will be wearing the OPI by itself for New Years, as it's very glittery and I've already started to have compliments! I gave this shade a 7/10, it's not m favourite shade of the collection, and it wasn't the most quickest to apply due to it's 4/5 layers. I will be swatching another OPI from the collection tonight! Thank you for reading.